The United States was honored to welcome Pope Francis for six days during the end of September. 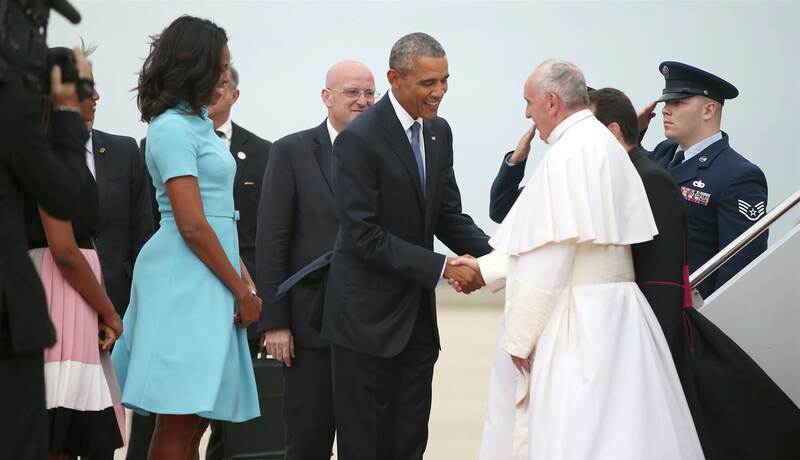 Pope Francis shakes hands with President Obama upon landing in the United States. The Pope kicked off his trip in Washington DC, where he was met by President Obama on the tarmac at Joint Base Andrews. The following day, Pope Francis attended a welcoming ceremony at the White House and had a personal meeting with the president. 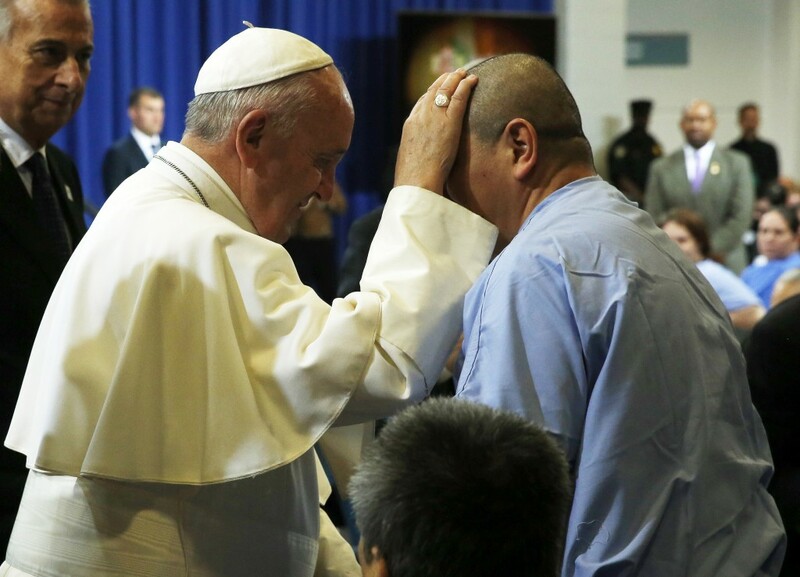 Pope Francis blesses an inmate at the Curran-Fromhold Correctional Facility. Pope Francis spent the last two days of his memorable trip in Philadelphia. One of the many interesting appearances Pope Francis made in the city was at the Curran-Fromhold Correctional Facility. There, 100 inmates in the prison had the tremendous opportunity to hear the Pope speak, and the highest icon of the Catholic Church blessed a select few inmates. On Sunday, September 27th, the Pope departed for Rome. Although Pope Francis may not return back to the United States, his influential words and encouraging acts will impact the country, and the world, for years to come.